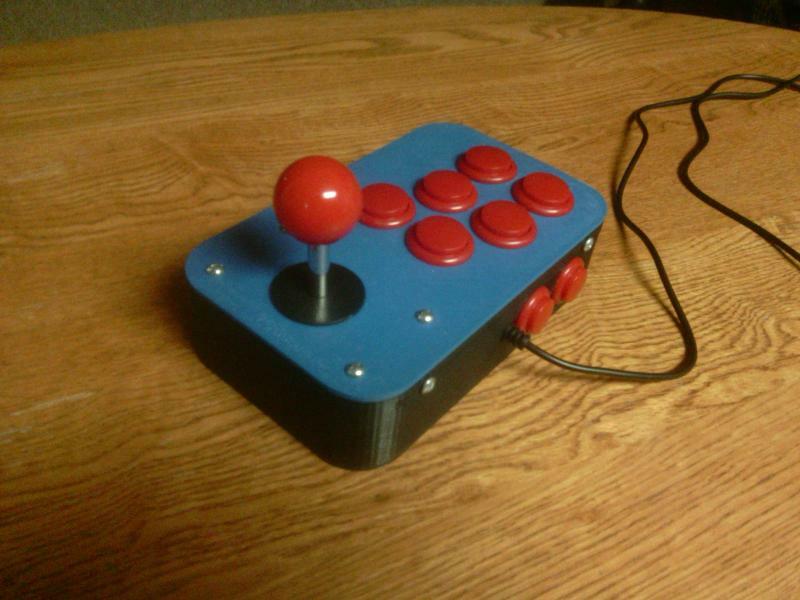 << THIS LINK >> Has some great joystick case ideas for you guys who've not yet built one. One example I found really cool was the transparent case. Anyway check it out... it just might inspire you to build one... or another! Has a 4 way gate so now I finally have a propper Pac-Man stick. Sanding and finishing can be a bit labor intensive however. Congrats. 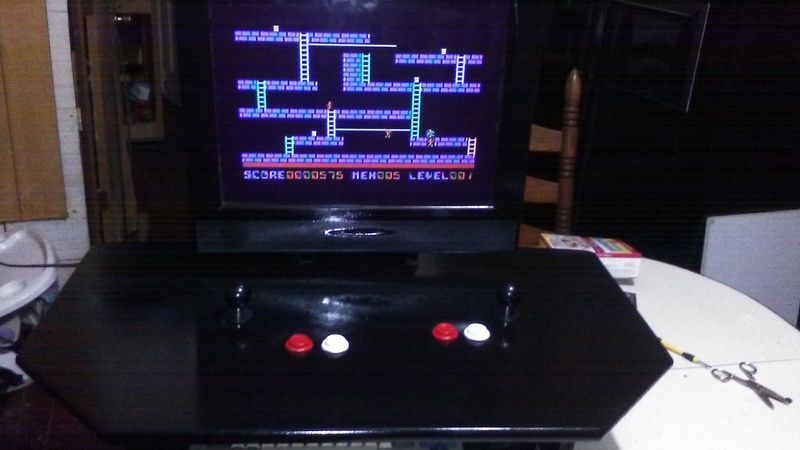 Having a proper baffle for 4-way games such as Pacman is essential. Got a few too many extra buttons on that thing however! These are really great sticks if you need something you can convert easily in less than one minute with a Phillips head screwdriver. Cost far less than a Sanwa (Sanwas also feel a bit loose need tuning out of the box imo, which adds to the cost) and while they have similar appearance to the Zippy sticks, they are much better IMO. The switches are heavy enough that it gives you tactile feedback as you slide into the corners, pretty much goes where you want it and don't get as many unintended diagonals in 8-way mode. It's the only Japanese style square gate stick I can really game comfortably on. Happ/IL are also good for 8-ways if you want bats and round baffles. Better use a heavier box though as they are stiffer and extend further under the control panel. Here is one I did. 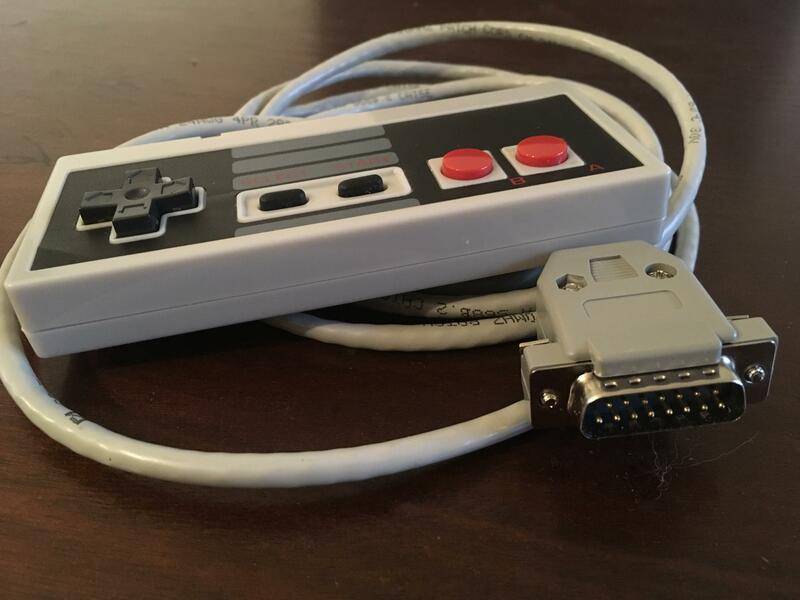 Its a modified NES controller for use on a PC. Digital to Analog board consists of a few transistors and resistors. Wiring was done with a Ethernet cable (stranded, not solid core). It supports Analog 1&2, and 4 Buttons (Select=4 Start=3 B=1 A=2). 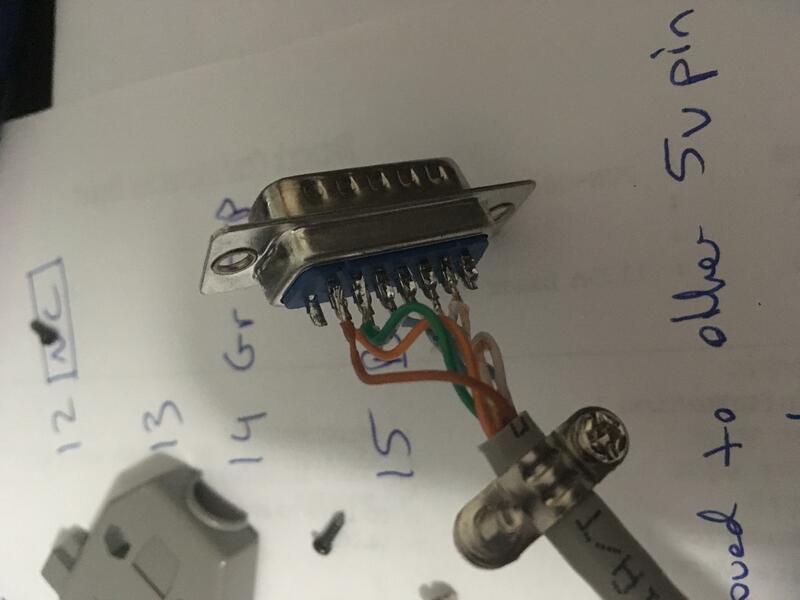 Im looking at converting a SNES controller as well (can use analog 3&4 for use as HAT buttons) with a second converter board, but I cant seem to find any 10 wire cable that is small enough to fit the SNES hole. If anyone has a suggestion on cable selection, Id love to hear it. Edited by jdgabbard, Sat Jan 12, 2019 12:57 PM. A little late to mention this, but that joystick I bought from Groovy Game Gear has two settings for the restrictor gate. Loosen the screws underneath, then turn the gate and tighten them back up, and it becomes a quite competent fighting game stick. Apparently it must have had 4-way and 8-way settings, and I didn't even realize it. I haven't done much with the homemade stick since I, uh, home made it, but maybe over the summer I'll dive back into it, or transfer the buttons to a better box. The underside of the housing was shredded by my power tools and is rather uneven... I should put a thin piece of wood inside to reinforce it. Maybe that'll dampen the clunking it makes when buttons are pressed too. (1) A little late to mention this, but that joystick I bought from Groovy Game Gear has two settings for the restrictor gate. Loosen the screws underneath, then turn the gate and tighten them back up, and it becomes a quite competent fighting game stick. Apparently it must have had 4-way and 8-way settings, and I didn't even realize it. 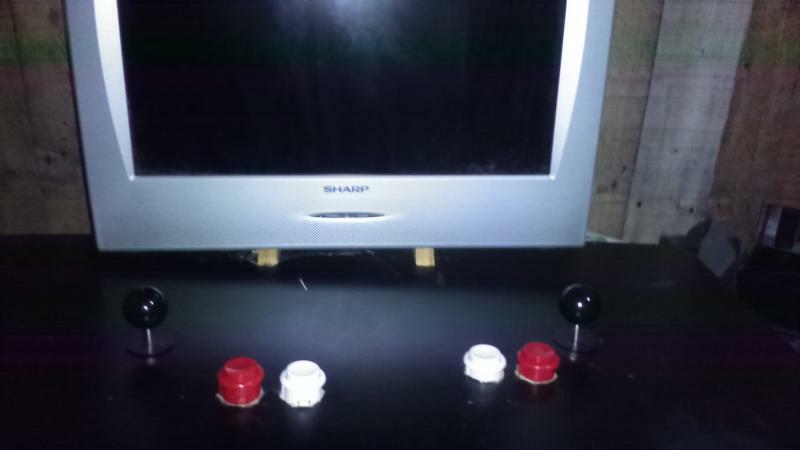 (2) I haven't done much with the homemade stick since I, uh, home made it, but maybe over the summer I'll dive back into it, or transfer the buttons to a better box. The underside of the housing was shredded by my power tools and is rather uneven... I should put a thin piece of wood inside to reinforce it. Maybe that'll dampen the clunking it makes when buttons are pressed too. 1 - I've stopped using the Zippy sticks myself as they sometimes have QC issues with the restrictor gates and has swapped suppliers for the micro switches on multiple occasions. 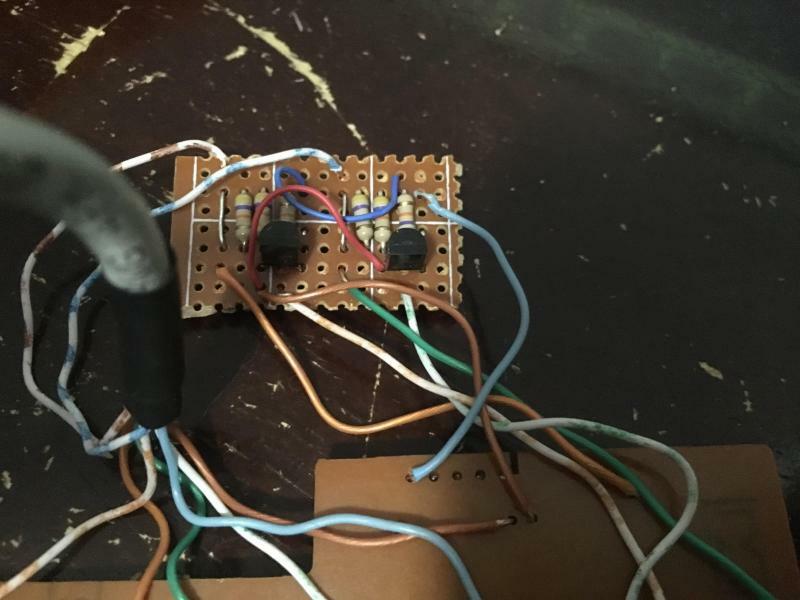 The levered switches from certain brands have a deeper throw to actuate the microswitch with the result that the lever is pitched rather than straight at the point of actuation. This can result in missed diagonals occasionally. For instance, moving from D to DL might actuate a down/left diagonal but moving from L to DL results in a miss for the D direction, because the tab may need to travel slightly beyond the square gate on one side before it actuates. The Paradise Arcade stick has a similar design to the restrictor plates compared to Zippys but you won't feel "bumps" on the edge of the square gate like the Zippy, and the restrictor plate is a superior plastic construction that won't curl upwards when over-tightened. Also the PAS switches don't have levered tabs on them as the round actuator presses the tab directly. 2 - Anytime you drill into wood with a spade bit, you gotta place a board underneath the control panel to prevent blowout. Especially true for ready made wood boxes with thin lids. Clamp a 3/4" piece of scrap underneath the lid before drilling. You may have to cut the scrap to fit under the lid. The same scrap can be used multiple times as well. As always, measure twice and cut once. It is possible to cut cleaner holes without need for a backing piece by using a Forstner bit, however these bits are designed for use in drill presses and may drift if used with a handheld drill. Where did you find that joystick case? I think he drilled directly into a desk top. oh my bad. I thought you meant this one. That's kind of neat! I suppose you can also wrap the cord up inside when it's not in use!